The Cost of a Speeding Ticket in Virginia | Do You Need A Lawyer? Getting a speeding ticket can be a frightening, stressful, and confusing experience, especially if it’s your first time. One of the most common questions our Harrisonburg traffic ticket attorney at Keefer Law Firm receive from clients is, “How much does a speeding ticket in Virginia cost?” The following is an overview of the state’s traffic ticket fines. You must understand that speeding tickets in the Old Dominion state are quite serious, resulting in expensive fines and points against your driving record. Additionally, if you drive at extremely high speeds, you may be charged with reckless driving, punishable by increased fines and even a jail sentence. In general, there is a $6 fine for every MPH over the speed limit in Virginia speeding cases. However, the fee increases to $7 per MPH when speeding in a school or work zone and $8 per MPH when speeding through a residential area—with an additional $200 in total. Speeding on a highway can lead to a fine between $200 and $500. On average, speeding tickets cost between $350 to $400 if you include taxes and other fees. 3 Demerit Points – If you were found driving between one or nine MPH over the posted speed limit. 4 Demerit Points – If you were found driving between ten and 19 MPH over. 6 Demerit Points – If you were found driving over 20 MPH over. If you are caught driving 20 MPH over the posted limit, or at least 80 MPH or more, you could be charged with reckless driving, which is a Class 1 misdemeanor. This kind of misdemeanor is punishable by a maximin $2,500 fine, license suspension for six months, and a jail term of up to 12 months. If you believe that you were not speeding, you have the option of going to court in order to plead “not guilty.” During your scheduled court hearing, you will have the opportunity to explain your case and listen to the testimony of the officer who wrote the ticket. If the judge rules in your favor, although you won’t face penalties, you may have to pay court fees. If the judge finds you guilty, you must pay the fine and court fees, as well as suffer the consequences of a speeding ticket (i.e. demerit points and increased insurance premiums). Many people attempt to figure out if going to court is worth the cost of simply paying the fine. Remember taking a state-approved defensive driving course can reduce your demerit points. If you have been charged with reckless driving, it is in your best interest to hire an experienced attorney. Your lawyers can evaluate your case, determine your available legal options, and provide an overview of the punishments you face to help you make the best legal decision possible. 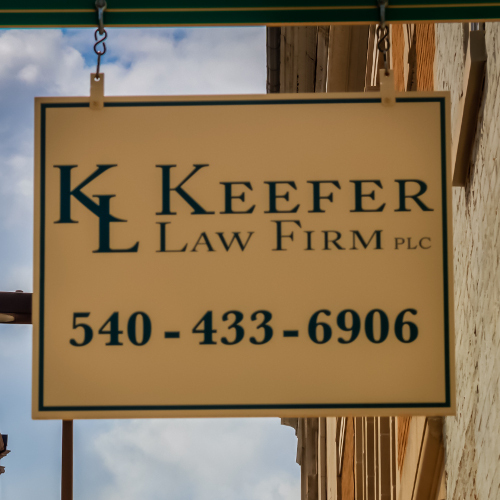 Contact Keefer Law Firm and schedule a free consultation for more information today.